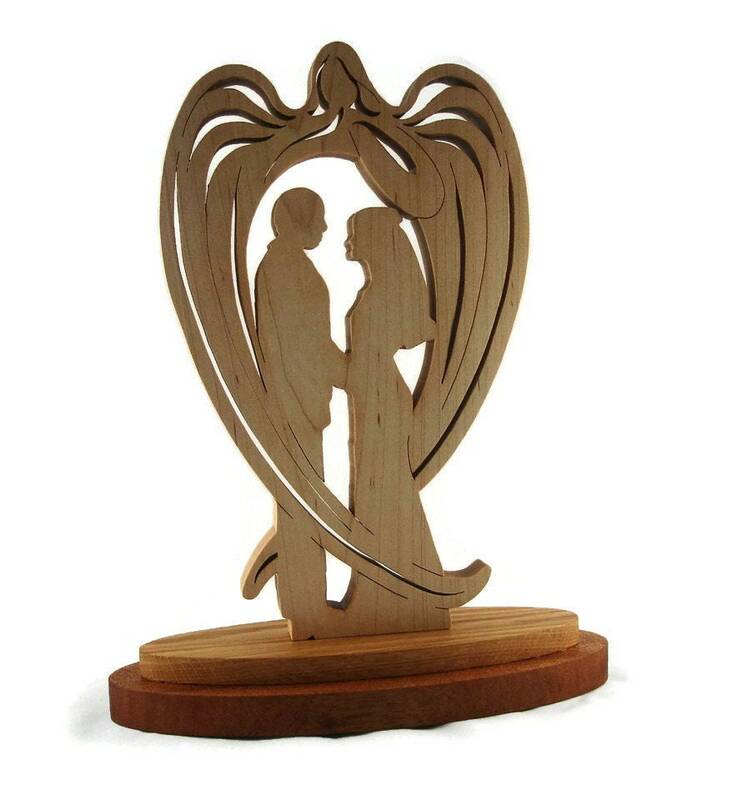 Guard your wedding or marriage with a guardian angel from KevsKrafts. This beautiful wedding / marriage guardian angel is guarding the bride and grooms wedding and their marriage. 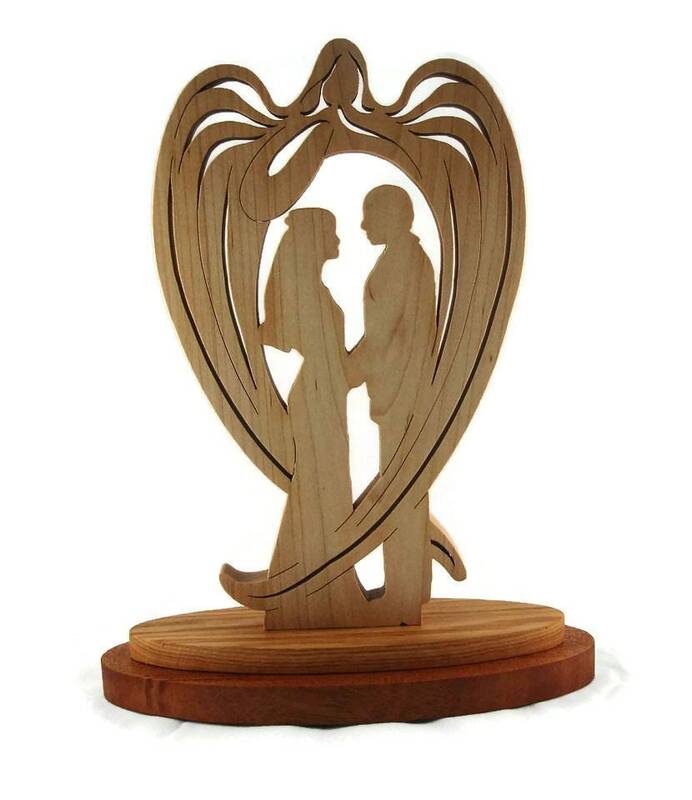 This would make a ever lasting wedding shower or wedding gift to that special bride and groom or husband and wife. Also would make a great anniversary gift for the couple that has everything. 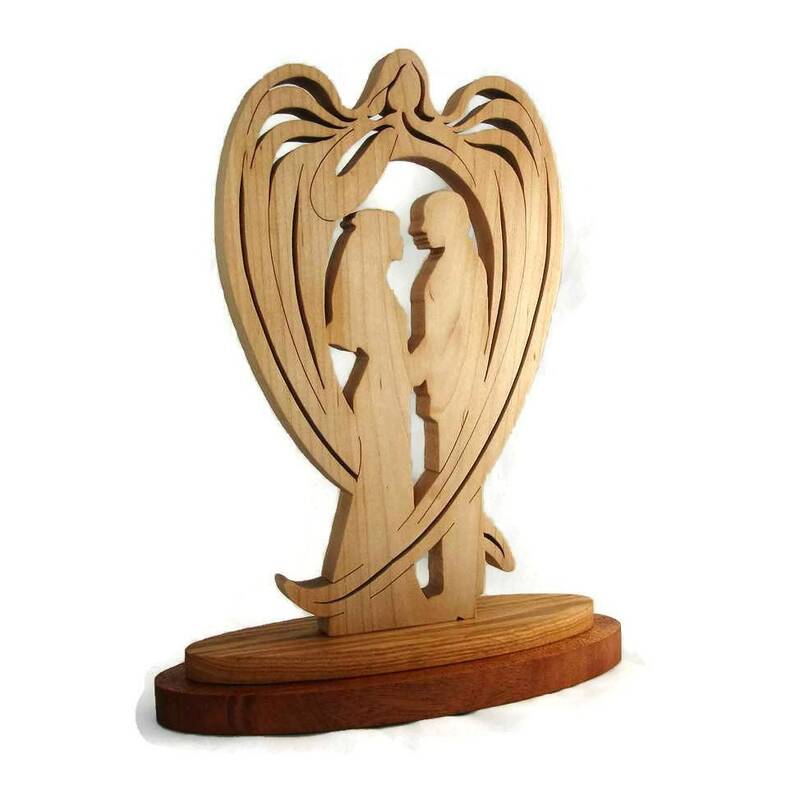 This unique wedding / marriage guardian angel was cut out by hand using a scroll saw. 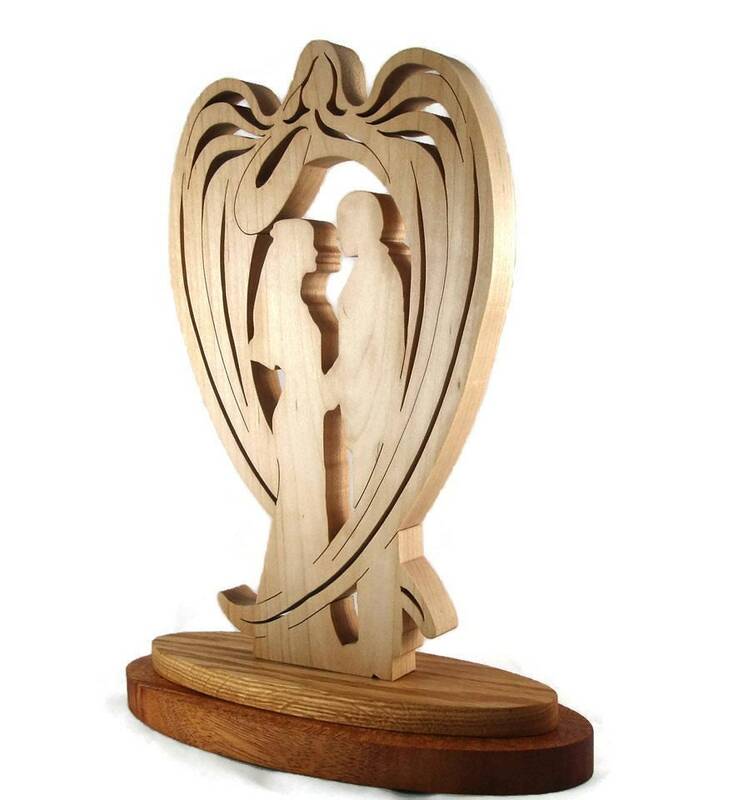 The guardian angel is made of 3/4" Maple lumber and stands about 10-1/2" tall (without the two step base ). The lower section of the base is made of 3/4" Mahogany lumber and is approximately 9" wide x 4" deep. The second ( top ) part of the base is made of 1/2" Oak and is approximately 8" wide x 3" deep. 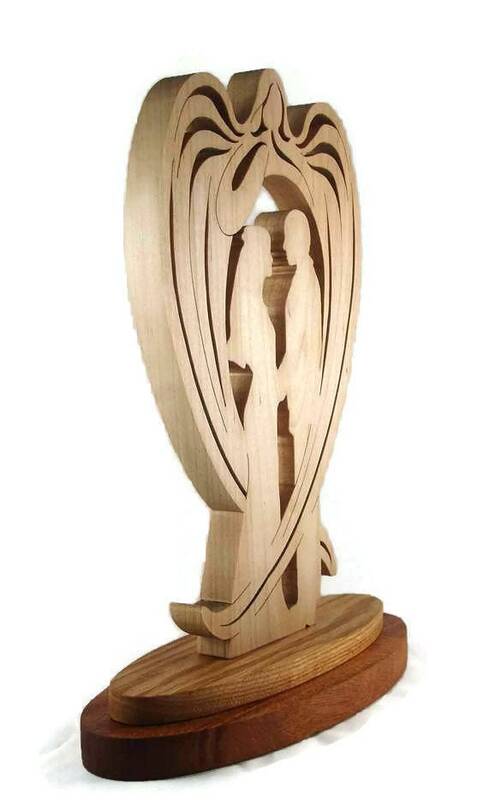 With the guardian angel mounted to the base it stands about 12" tall. Three coats of Natural color Danish oil finish was applied to this to bring out the natural beauty of the wood grain as well as to protect its natural beauty for many years of enjoyment.